Genealogy Dragnet: 2011 Road Trip - Brick Wall Comes Tumbling Down! Today, my Louisiana family brick wall came tumbling down!! I met up with a "collateral cousin" that our family knew was down in the New Orleans area. He is from my father's side of my family. His grandfather and my grandfather were brothers. I got his whole family line back to the grandfather. My husband and I met him and is mother this afternoon, spent several hours going over questions/answers we both wanted to know. He later put me in touch with his cousin who was also doing the family history. We are going to visit her tomorrow morning! Wow, when we started this trip I knew I'd get some information from my Chicago area cousins, but little did I know they knew the cousin(s) down in the New Orleans area. We planned on seeing some sites in New Orleans and gave ourselves about two days. I think we're going to need more! 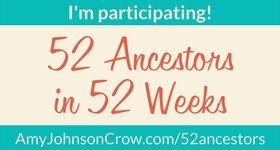 Ya-hoo, I'm doing the genealogy happy dance! !